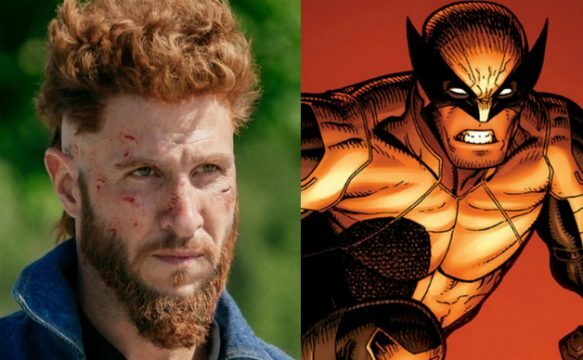 American Gods Actor Pablo Schreiber Lobbies To Play Wolverine; Starz's Second Season To Be "More Exciting"
Even before Hugh Jackman hung up the adamantium claws for the final time thanks to the release of James Mangold’s Logan, many considered his version of Wolverine to be irreplaceable, and any attempt to do so would only tarnish a 17-year legacy. But in a time when moviegoers are bracing for the sixth Spider-Man movie in almost 15 years (Spider-Man: Homecoming), recasting Hugh Jackman seems inevitable. Heck, even the actor himself has been fairly candid about the possibility of another actor playing the iconic hero, and if Pablo Schreiber has his way, the American Gods star could become Jackman’s successor somewhere down the line – either that, or Schreiber could play the part of Sabretooth. Chatting to ComicBook.com, the actor, who plays Mad Sweeney on Starz’s acclaimed series and is actually the younger brother to Liev Schreiber (Sabretooth), revealed his desire to don the adamantium claws. I was a huge fan growing up of Wolverine and of Daredevil. Those are my two favorite guys and I would jump at the chance to play either one of them in a second. And you know I think Hugh is done now with Wolverine, so maybe it’s time for a reboot Maybe it’s time for a new Wolverine. Maybe we can reboot Sabretooth. I don’t think he would agree to play Sabretooth to my Wolverine. Whether Fox takes heed of Pablo Schreiber’s lobbying is another question entirely, but we can at least look forward to his return in the second season of American Gods – a second season that will seemingly be much more exciting than the first. That’s according to showrunner Bryan Fuller, who told The Wrap that the extended season 2 will run for ten episodes in total. Much of the pacing and dreamlike quality of Season 1 was about Shadow Moon’s mental state, and now that he’s been activated [as a believer], we can expect something a little different from how we’re going to tell the stories. Whenever anyone engages in a faith bargain and they commit to it, they change their perspective in a massive way. So the story we get to tell with Shadow in the future is one of a character who’s crossed that first benchmark, which was non-believer to believer. Now that he believes, how does he believe? And how will what’s happened with his wife and Mr. Wednesday shift those beliefs? Suffice to say, Shadow will have a much more exciting arc in Season 2 than he did in Season 1. Starz’s roster of deities will return for a ten-episode second season of American Gods sometime in 2018.